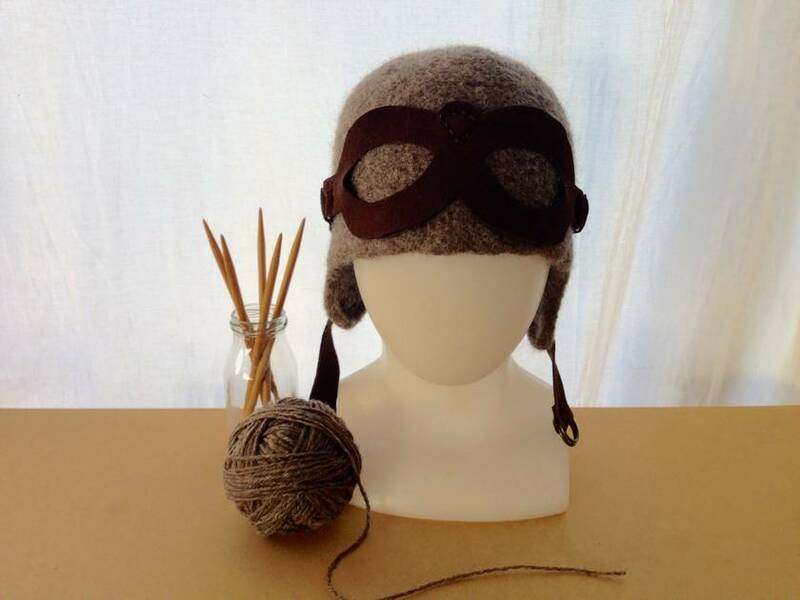 This gorgeous hat is made from 100% NZ Corriedale yarn which I knit into a huge hat shape. Once it is finished I shrink it down to about half its original size. This way it turnes into a dense and sturdy felt that will protect your head against the elements and keep you happy and stylish even on the grottiest of days! The goggles and straps are made from moccasin suede (NZ cow hide). 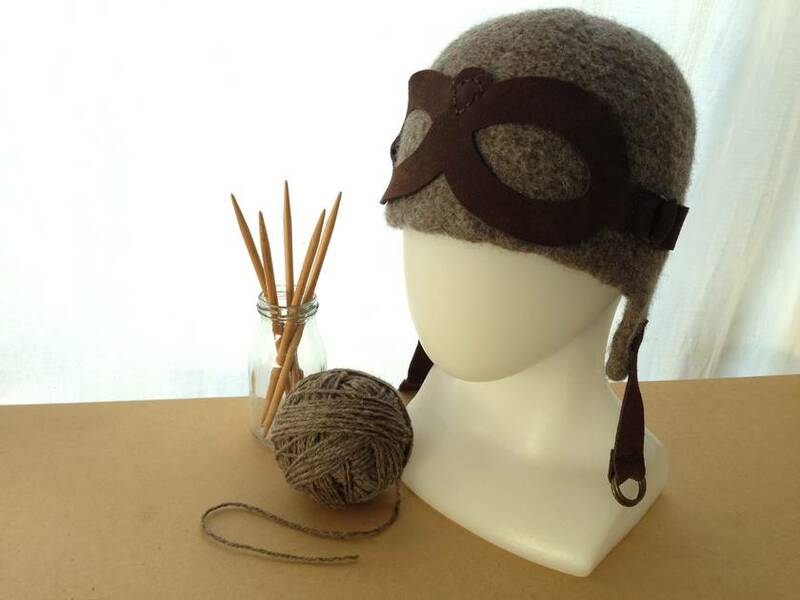 The goggles are just ornamental and sewn on but the straps are fully functional, meaning the hat can be tied under the chin. The colour is a nice natural mid brown! This hat comes in an average size of 21.5 inches and is suitable for both men and women. If you require it slightly smaller or bigger, just let me know!